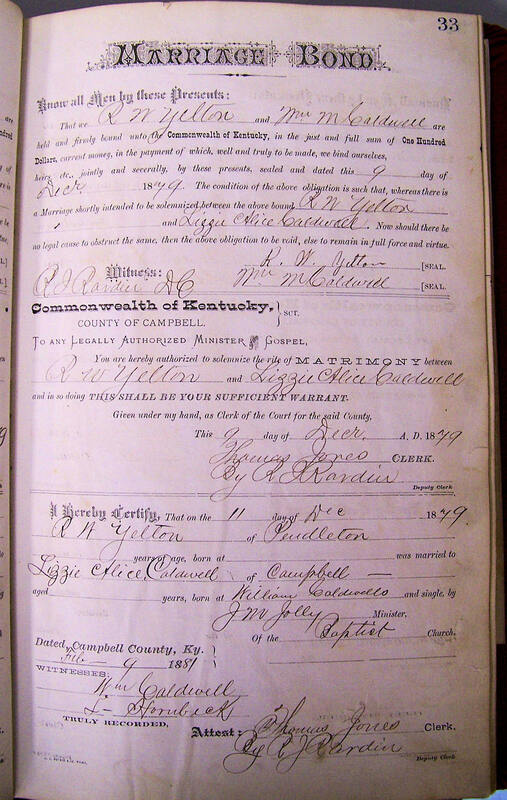 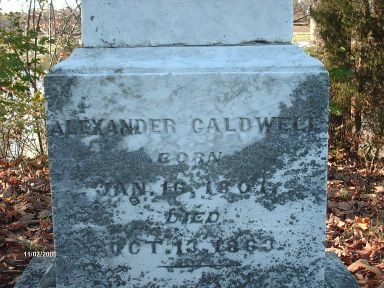 Several hundred acres of what is now a park in Campbell County, Kentucky, was in the first half of the 1800's the farm of Alexander Caldwell. 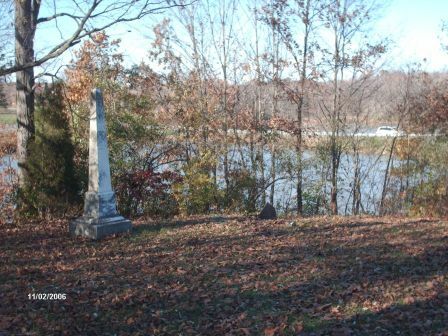 The graves of this pioneer and some of his family are located within a fenced plot near the park’s swimming pool. 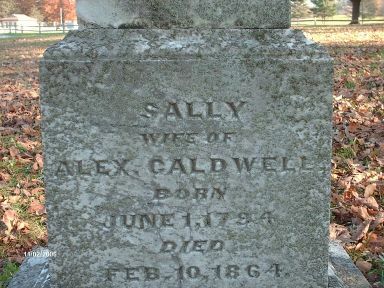 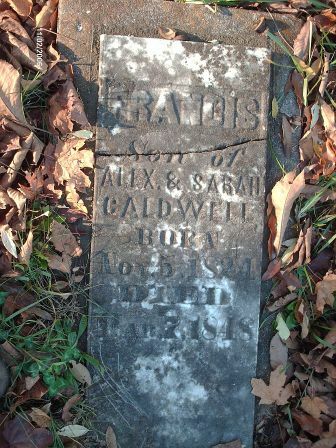 Caldwell, Francis-5 Nov 1824-7 Mar 1848 son of Alexander & Sarah Caldwell; to the right of Francis' grave is an old fieldstone recently set in concrete with the dates scratched by hand.